This Spanish sweet treat is enjoyed throughout the year but is really most popular during the festive season when it is an essential component of any Christmas meal. While today a number of different varieties exist – with many regions having their own special recipes – the history of turrón can be traced back to one common origin: the Moorish Conquests of the early Middle Ages. 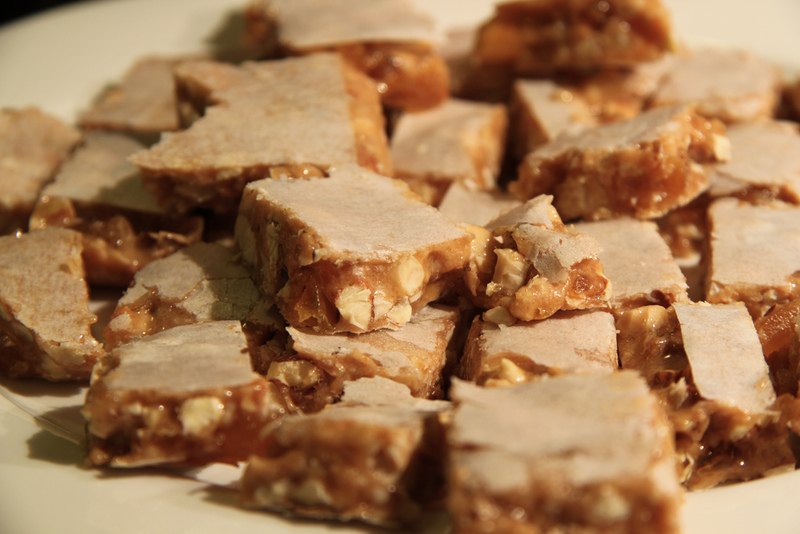 Turrón is a sweet treat made from a mixture of honey, eggs, sugar and, perhaps most importantly of all, toasted nuts. The most common type of nut to be used in the elaboration of turrón is almonds, although other nuts such as pistachios can sometimes be used instead. These days turrón comes in a number of different types and flavors, depending on the ingredients used and the method of preparation. 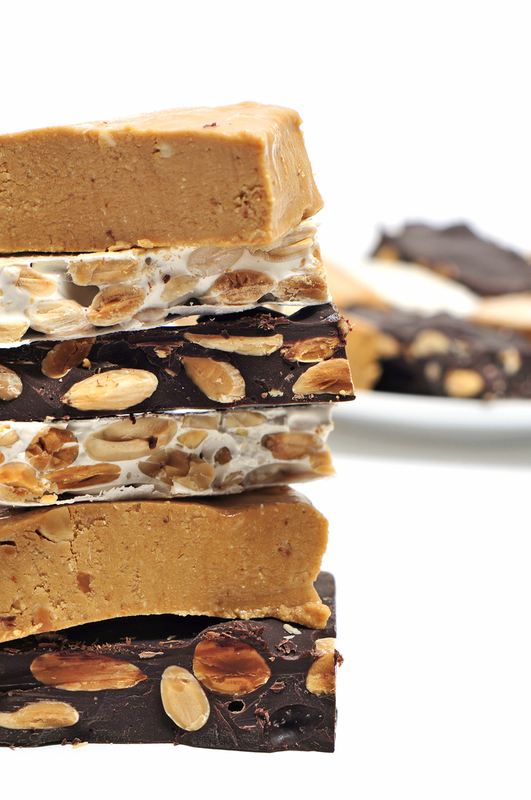 The most important distinction between types of turrón is whether it is hard and brittle, or soft and chewy. The harder variety is known as turrón duro or Turrón de Alicante, whereas the softer kind is known as turrón blando or turrón de Jijona, in reference to the two towns in which each kind became most famous. To make turrón, the artisan-maker first starts by heating the honey until it begins to caramelize, before then adding sugar and egg whites to the preparation. The next step is to add the toasted nuts to the mixture and blend it all together before leaving it to rest and set. Once the turrón is set it can be kept for up to a year if it is carefully stored. While today turrón is one of the most quintessential Spanish sweet treats, its origins can actually be traced back to the Moors who invaded the country back in the early Middle Ages. In addition to their architecture (such as Mudéjar art), and their language (the Arabic prefix al- is still present in front of many Spanish words), the Moors also inevitably brought with them a rich culinary heritage. Most food historians concur that it was in the Arabic peninsula that the early versions of turrón were first made, and one of the first references to a treat named ‘turun’ appears to come in an 11th-century document named ‘De medicinis et cibis semplicibus’ which was written by an Arab doctor. The Moors brought the treat to Europe where it became popular, most of all in Spain, France and Italy. By the 15th century, turrón had already made its way into the repertoire of popular confectioners throughout Spain and especially around the town of Alicante. A document dating back to 1582 claims that it was common for patrons to offer their workers turrón around Christmas time, and a few years later a law was passed by King Felipe II restricting the amount of turrón which could be purchased by each household so as to limit the expenses made for the treat each year. While honey was used in the preparation from the beginning, it would seem that sugar was only added to the list of ingredients when the first sugar plantations were discovered in South America and sugar became a more common ingredient in Spanish cuisine. Nowadays turrón remains one of the most common treats to be offered around the time of the Christmas holidays. In 2010, the province of Alicante alone produced over 15 million tons of turrón that year, 89 per cent of which is sold around Christmas time. 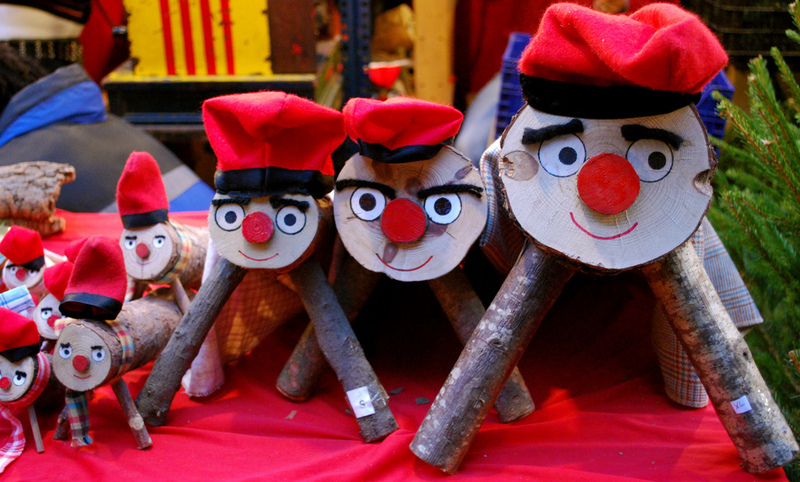 During the holiday season, it is not uncommon for turrón to be one of the many gifts ‘pooped’ by the famous Caga Tío – a pooping log which produces gifts to the amazement of little ones when hit with a wooden stick on Christmas Eve. While modern methods of production have made the process easier, much of Spain’s turrón is still made according to traditional recipes and methods, using the same basic ingredients as always. The country is the biggest exporter of turrón in the world, primarily to South America but also Japan and the Middle East, as well as neighboring countries such as Germany and Italy.